Thanks to the hit reality show on A&E, extreme hoarding is now frowned upon. But thanks to the holy rock gods, the show wasn’t around when Vernon Presley started collecting just about every personal item that passed through his son’s hands. 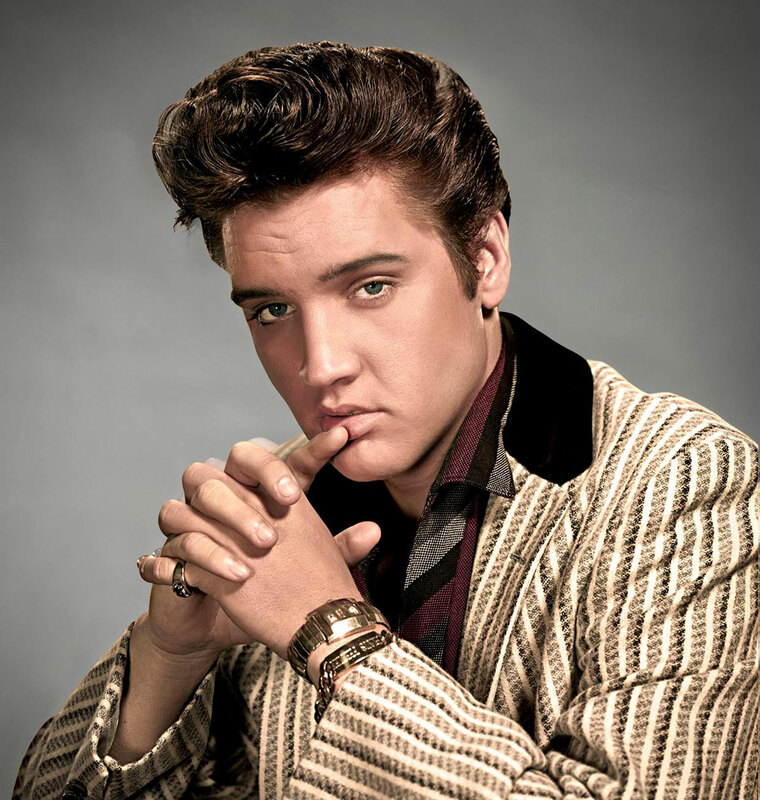 Because of his slight “collector tendencies,” the rest of the world can see the most intimate details of Elvis Presley’s life, including a coffee-stained table cloth with a $50,000 contract handwritten on it. Elvis Presley, photo courtesy of Graceland. 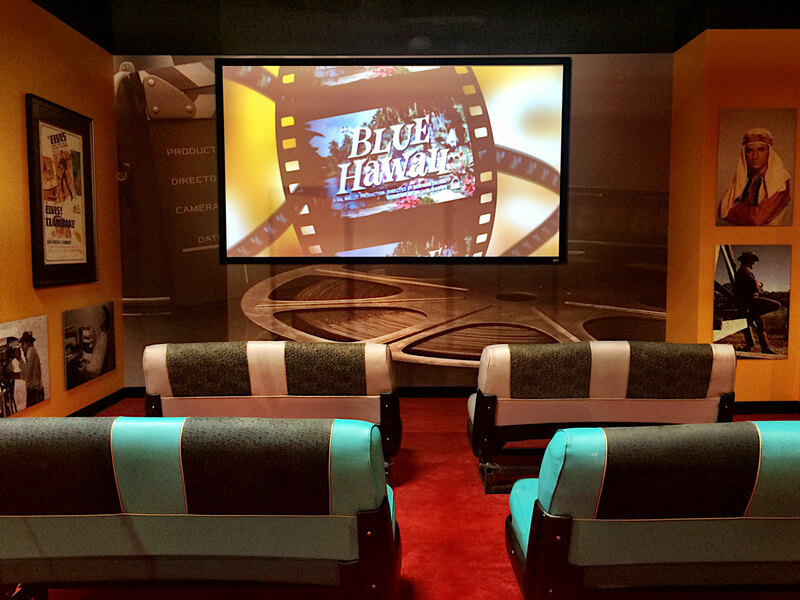 The Westgate’s new “Graceland Presents ELVIS: The Exhibition” is a 28,000-square-foot walk down memory lane for superfans. Even if you weren’t one of the diehards who would’ve given your first-born for a napkin he’d wiped his mouth on, you’ll still appreciate watching the transformation of a poor country kid to a household name nearly 40 years after his death…unless you’re a hater. “The exhibit shows you all sides of Elvis, the father, the son, the husband and the rock star,” says Graceland curator Angie Marchese. She took us on a private tour of the exhibit to explain the significance of the displays and how they told the story of one of the greatest entertainers in history. The Presley family home in Tupelo, Mississippi. 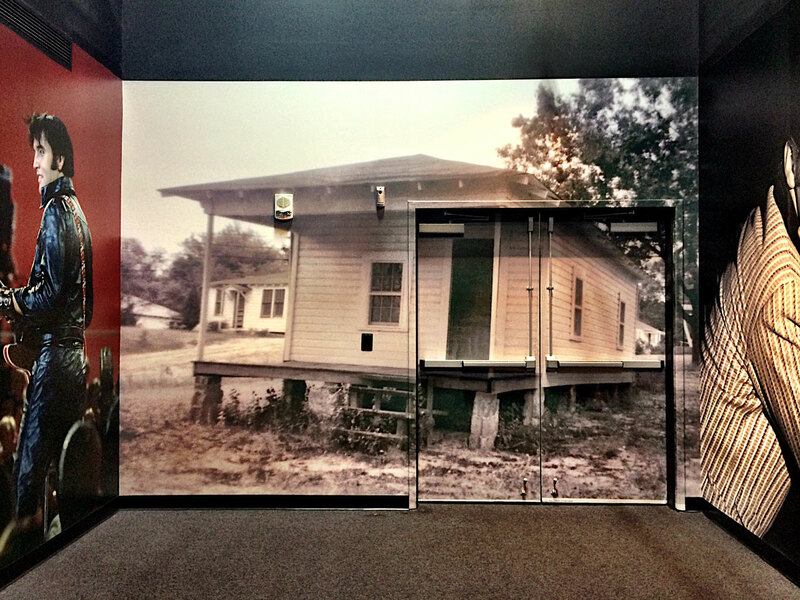 The interactive exhibits lead guests through a chronological timeline of Presley’s life, starting with photos and remnants of the Mississippi shotgun house he was born in, which took just 30 bucks to build. There are a serious amount of never-before-seen artifacts, including faded postcards, concert footage and home videos. Presley’s very first album with Sun Records is on display, as well as a telegram for his parents with a note saying not to tell anyone how much money he was sending them for the bills, but that there would be more next week. There’s even a check written by Sgt. Presley himself for undisclosed activities at the Moulin Rouge while he was on military leave in Paris in 1959. The check is for $102.53 (about $833 now), which sounds like the King had a pretty good time to us. Fainting couches, aka '57 Chevy seats at the drive-in theater. One of Marchese’s favorite displays is the “Elvis in Las Vegas” costume room. The jumpsuits she chose for the displays were the ones he wore while performing in the same Vegas hotel about 45 years ago. 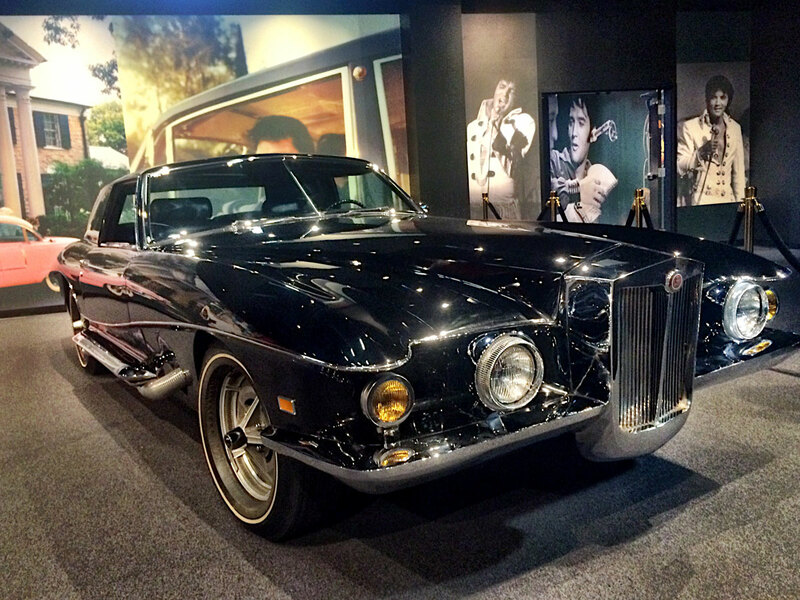 Our personal favorites at the exhibit are the drive-in theater that plays nothing but Elvis movies and features ’57 Chevy seats and the first-ever Stutz Blackhawk. Sorry 'bout your luck Mr. Sinatra. This beauty is reserved for the King. The car was originally meant for Frank Sinatra, but caught the King’s eye while he was in the dealership on Oct. 9, 1970. Sinatra settled for the second model made because Presley had the first delivered to him at the International Hotel, which is now the Westgate Las Vegas and current site of the exhibit. “It’s like bringing everything back home,” says Marchese of the artifacts. There are more than 350 in this exhibit alone. “My daddy had seen a lot of people who played guitars and stuff and didn’t work, so he said, ‘You should make up your mind either about being an electrician or playing a guitar, and I never saw a guitar player that was worth a damn,’” said Elvis quoting his father. It’s a damn good thing Vernon Presley was wrong about his son being a musician and right about being a pack rat.